The Art Deco period started in 1920 and continued until 1935. It received its name from the International Exposition Of Modern Decorative And Industrial Arts, held in Paris in 1925. The Art Deco jewellery period is regarded as one of the most important in the history of jewellery design. The era is marked by a style that largely reflects the exuberance and opulence of the society of that period, often called the “Roaring Twenties” and carved a niche for other forms of design commonly found in the today’s jewellery designs. Although the Art Deco period dates from 1920 to 1935, its impact is still felt to the present day. A number of the top jewellery houses which includes Van Cleef & Arpels, Tiffany & Co. and Cartier produced some of their most recognized pieces during the Art Deco period. As a notable style across the world, the Deco movement also influenced various other aspects of design. Its influence can be seen in interior design, architecture, industrial design, cinema and fashion, graphic arts. Reaching its peak architecturally with the construction of the Chrysler building in New York. A remarkable building which was the tallest building of it`s day. Art Deco features strong geometric shapes, abstract patterns and Egyptian motifs. Which became popular after the opening of Tutankhamen`s tomb in 1922. The Art Deco style was also commonly found in commercial products of the day, such as chinaware, furniture, clocks, textiles, automobiles, and electronics. 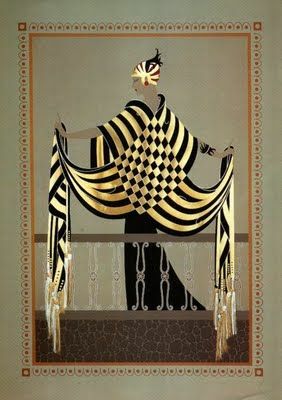 The Art Deco movement was simply about design and decoration. Unlike its predecessor the Art Nouveau period, which wanted people to live artistically. Art Deco was strongly influenced by Cubism, Futurism, Aztec designs and also from industrial machines. Designs were dominated by triangular shapes, stepped patterns, chevron patterns, pyramids, curves and sunrays. All of these influences filtered down into jewellery design, making Art Deco jewellery unmistakably recognisable. 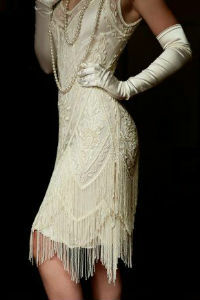 This era is known for jazz, flapper necklaces, headbands, tassels and a decade that heralded the liberation of women. Designers were inspired by bold colours and geometric designs. The designs of the era are well known for their use of coloured gemstones and diamonds along with classic white and black designs such as white diamonds with teaming black onyx in patterns. The light-hearted and glitzy feel of the Art Deco period was reflected in the designs of jewellery. Tassel-ended necklaces, pearls, brooches, diamond encrusted watch straps, and dress clips are classic examples of the art pieces that marked the era of Art Deco jewellery and have seamlessly found their way into the modern girl’s jewellery box. 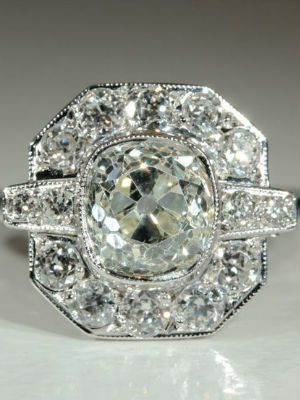 It is no surprise that the sales of Art Deco jewellery by firms such as Christie`s and Sotheby`s are always in demand. 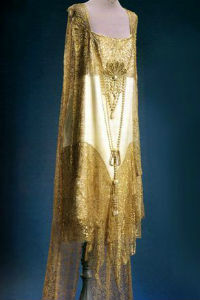 In fact, demand is so strong that such brands such as Tiffany & Co. have released themed lines for the Art Deco era. Which make the perfect gift. The 1920`s saw hairstyles become shorter and so earrings became longer. These new dangling earrings would sway from side to side when worn and perfectly matched the latest trend in long necklaces. These long necklaces made typically of beads or pearls would often feature a tassel or pendant. 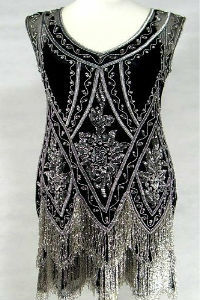 If they did not feature a tassel or pendant, then they would frequently be simply knotted at the front. 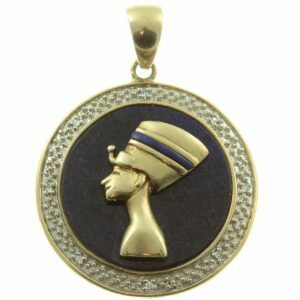 Elongated featured pendants where also worn on long chains or cords made of silk. Diamond and/or gemstone necklaces tended to be shorter and would have been considered evening wear. 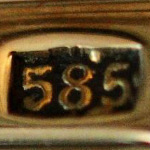 The trend in rings was towards larger more statement type rings. 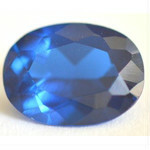 Often featuring a large central gemstone surrounded by diamonds or vice versa. Large emerald cut diamonds and gemstone where very popular as was the use of platinum in rings. Brooches remained very popular throughout the Art Deco period. With brooches even being used on hats and to hold feathers in place. Dress clips that could combine to form a brooch were also quite popular. Symmetrical designs along with Egyptian and Aztec designs were the most commonly seen brooch motifs. 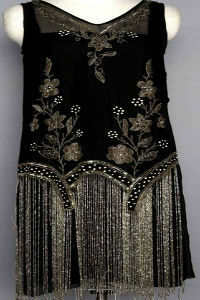 The 1920`s saw women`s fashion undergo a huge transformation. The first world war had changed everything. Women had to take up the jobs which where traditional done by men and so clothing became much more practical. Shirts were lighter and shorter, sleeves were either gone completely or very short and corsets were a thing of the past. Women`s magazines became widely available and with them came advertising. Fashion houses and designers could reach more and more women. Dresses were simpler yet elegant and had a sense of freedom about them. Dating Art Deco jewellery is relatively easy, when compared to other periods such as Georgian jewellery where there are very few examples to compare with. Due to it`s very unique designs which are dominated by rigid lines and Egyptian motifs. Having that said there are still a number of areas we should examine. Starting with the items patina, which should have an aged look along with a reasonable amount of wear in keeping with it`s age. When examining the patina it is also worth noting if the piece has been repaired. 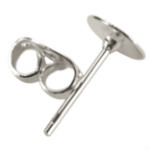 Signs that it has been repaired will be more obvious around the findings, where you may see newer solder. The findings if original are also a great source of information when it comes to dating jewellery. 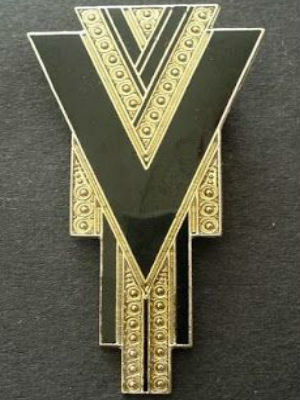 For example gem studded push in box clasps were very commonly used in Art Deco jewellery. 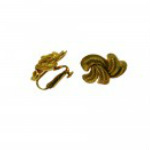 Earrings tended to be worn long and were of feminine design. This trend was in response to changing fashion, where women opted for shorter hairstyles. These long dangling earrings were typically geometrically designed and had contrasting colours. There was also a tendency to use a number of differently cut diamonds or gems in the same earring. Necklaces again in keeping with the earrings were typically worn quite long. These multi strand long necklaces of beads or pearls would be knotted and end in a tassel or large pendant. Producing the iconic image of the 1920`s. These large pendants were typically elongated and often featured stepped or raised surfaces. Dress rings tended to be quite large in Art Deco jewellery, with emeralds and aquamarines becoming very popular. These again in keeping with the style of the day, were dominated by geometric shapes. 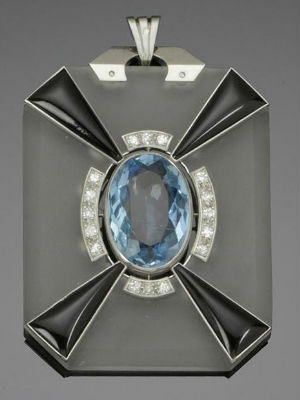 Typically a large coloured stone with an emerald cut would be made the center piece. This would then be flanked on either side and / or down the shoulders by a contrasting stone. This theme of contrasting colours proved to be very popular in Art Deco jewellery and it`s use was widespread. With the invention of the double clip brooch by Coro in 1931. Which could be used as a brooch or as two dress clips. Dual purpose jewellery became quite fashionable. There were earrings which would split in two, allowing the shorter piece to be worn during the day. Then the other part was attached for evening wear, these earrings were called day and night earrings. There were also pendants designed which would double up as brooches. Illustrated below are some of the important dates of Art Deco Jewellery. 1920 – Post & clutch earrings. 1925 – Synthetic spinels in commercial use. 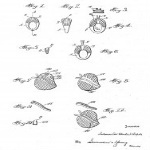 1926 – Earring guard patented. 1931 – Coro patents the “duette ” double clip. 1932 – 12K & 15K gold replaced in Britain by 14K. 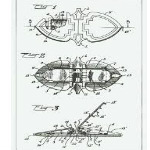 1933 – Invisible setting patented by Artier & Van Cleef & Arpels. 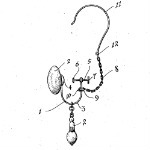 1934 – Clip on earrings patented by Ballou. 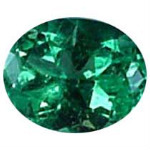 1934 – Synthetic emeralds first used. You can also get in touch with Carusjewellery.com on Facebook , were you may leave any comments or questions you may have about this article.